It is the final round now. GiLoCatur believes many matches have completed since the round started an hour ago at 11.00am. So, what would be the results? 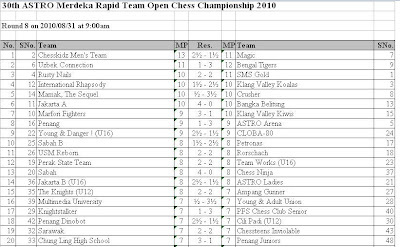 Can Chesskidz Men's Team that includes two Pinoy GMs win the event? Or can the Klang Valley Koalas stopped them? Can all-Malaysian-team-players SMS Gold led by IM Mok makes the Malaysian chess community proud by winning the top three placings? How about another all-Malaysians team, Young and Danger? Can they outclass Rusty Nails? If they can, it is quite a sterling performance for the team that comprises MSS Selangor state players. Being on the top 5 boards in the final round itself is already an achievement in GiLoCatur's opinion. Another two all-Malaysians teams among the top 10 boards are Petronas led by IM Mas and Mamak, the Sequel whose members are Nik Farouqi, Saprin, Fairin and Abang Bro Kamaluddin. 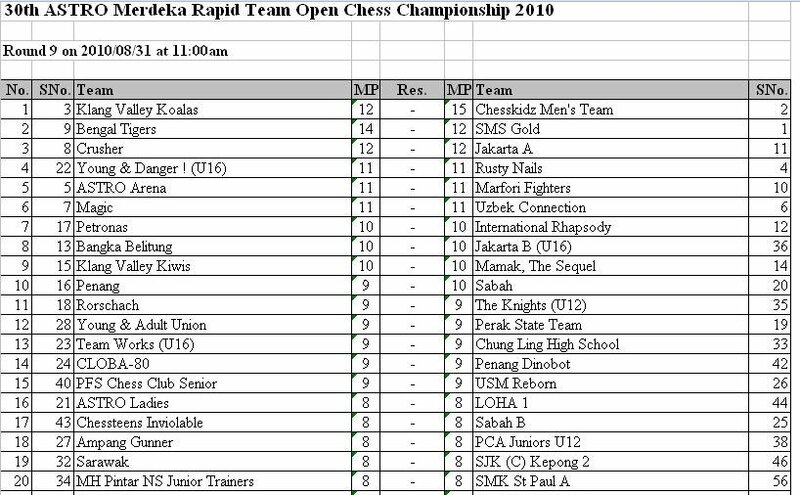 Two state teams - Penang and Sabah, face each other on the 10th board. For the rest teams especially comprise our juniors, GiLoCatur hopes they will learn and gain a lot by participating in the Merdeka Rapid Team event. 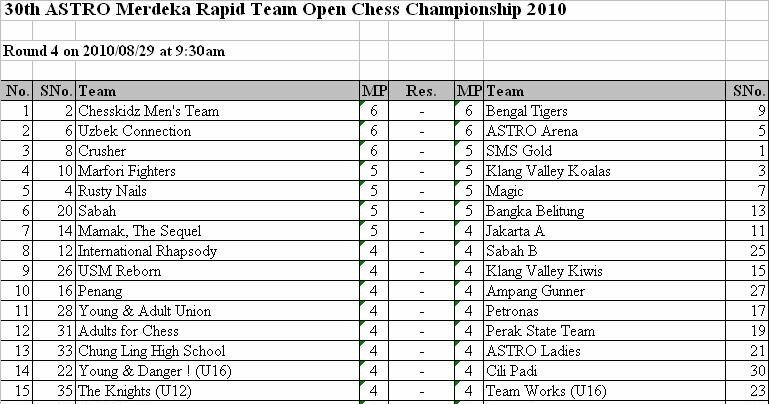 Keep learning and playing chess especially in quality chess tournaments like this so that Malaysia will have a very big pool of excellent chess players. Keep the dream of becoming title chess players especially Grandmaster to make Malaysia proud in the world chess map. Thanks to NWM for her immediate posting of the pairings and results of the on-going Merdeka Rapid Team being held in the Cititel Hotel in Midvalley. The 8th round just completed and the players are fighting in the final 9th round. It is the critical and crucial round to decide who will be the winners. GiLoCatur's pick team, the Uzbek connection, was defeated by the Bengal Tigers with 1 - 3 score. While Magic could not stop Chesskidz Men's Team from having the advantage to lead with 1 match point. The latter won by having 1/2 more points than Magic with 2.5 - 1.5 scoreline. On the 3rd board, SMS Gold just managed a draw of 2 - 2 againts Rusty Nails led by IM Goh of Singapore On the 4th board, the Australian team of Klang Valley Koalas won against the International Rhapsody that includes Ian Udani. On the 5th board, Mamak, the Sequel unfortunately was crushed by Crusher that includes two Malaysian players, Soon Wai Cheong and MSSM 2010 U15 champion, Yeap Eng Chiam. "SAYANGI NEGARA KITA, HAYATI ERTI KEMERDEKAAN"
MAKE MALAYSIA PROUD! ESPECIALLY IN CHESS! The above is the 4th Round results of the top 15 boards. Click here for the full results. The 2nd seed, Chesskidz Men's Team, won convincingly to setup the match with ASTRO Arena on the top board in the 5th Round. The team is leading right now with the full 8 match points after four wins going to the fifth round. While their 4th Round opponent, the Uzbek connection, will play Crusher that drew with SMS Gold. Click here for the 5th Round pairings. 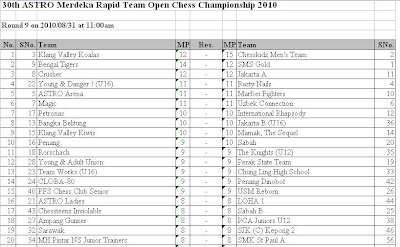 As GiLoCatur writes this entry, the 4th round of the Merdeka Rapid Team is on going. Based on the above top 15 Round 4 pairings, five teams have accumulated the full 6 match points. 2 match point for a win, 1 match point for a draw and 0 match point for a loss. A team will win and get 2 match point even it scores 2.5 - 1.5 similar to 4 -0. GiLoCatur's pick team, the Uzbek connection, is playing on the second board against ASTRO Arena who includes Malaysian current chess prodigy Li Tian and youngster Muhd Izz. 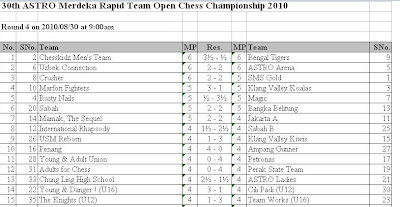 On the top board, Chesskidz Men's Team plays againts the Bengal Tigers. While Crusher, the other team that scores full match points challenges the top seed, the SMS Gold. Based on the info that GiLoCatur has, the latter will play against Mohd Syazwan who replaces Sabirova Shakhnoza. While the former will face former World Police champion, Sergeant Ismail Ahmad. On the first board an Uzbek GM will meet a Bangladeshi GM. Who will win this match? We'll find out latter. 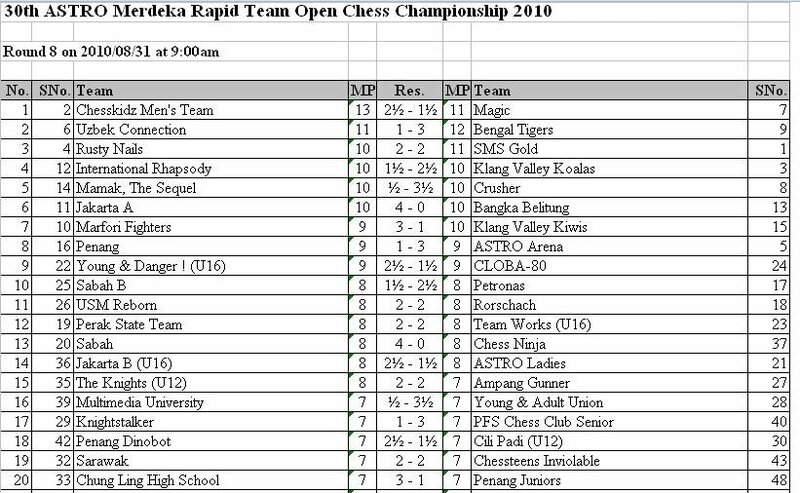 On the top board, Chesskidz Men's Team plays against the Bengal Tigers that include Malaysian youngster, Elgin Lee. 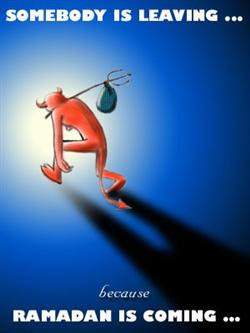 All the muslims around the globe are getting into the final one third stage of the holy fasting month of Ramadhan. In about ten more days, they will celebrate Eidul Fitri or Hari Raya Puasa. Shopping for new cloth and wears is very common especially in Malaysia to celebrate the first Syawal. 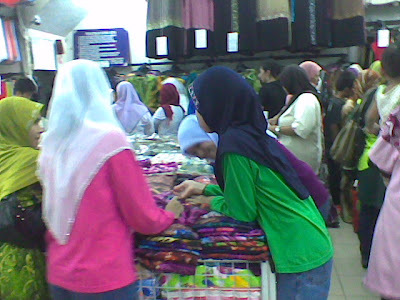 GiLoCatur was among the shoppers in a very popular clothing store in Sungai Besar as per in the above picture. They were choosing and picking their favourite cloth and attire to be worn during the coming Eidul Fitri. 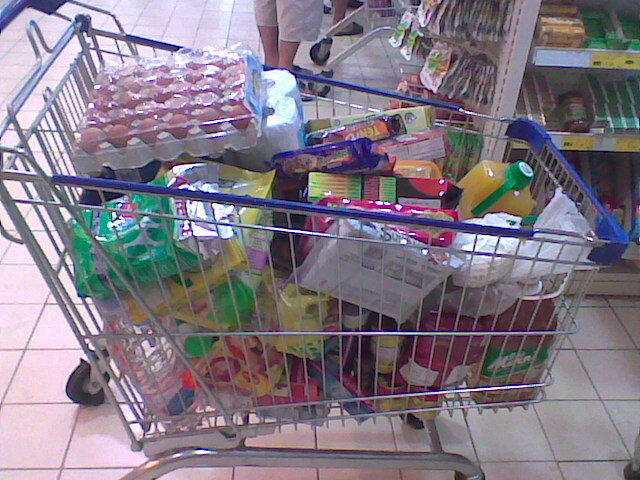 GiLoCatur and family had completed our Hari Raya shopping last weekend in our hometown. Have you completed your "Raya Shopping" yet? While being in a shopping mall in Seksyen 9 Shah Alam recently, GiLoCatur noticed the above Raya decoration. GiLoCatur believes all the shopping malls in the country are decorated to the Hari Raya theme to attract the customers. What's your favourite "kuih" during the fasting month? 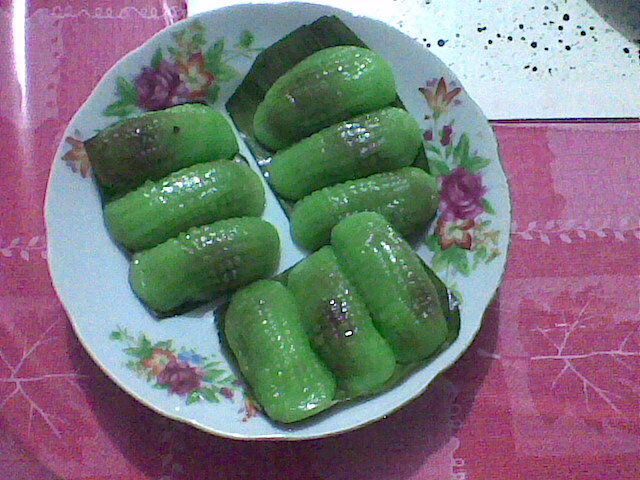 The above kuih lidah buaya is one of GiLoCatur's favourites. It is hard to find. 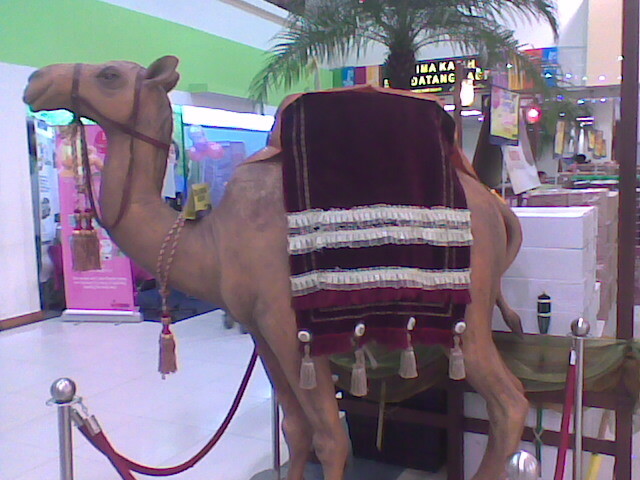 It can't be found in most Ramadhan bazaars in Malaysia. It is a tradition for GiLoCatur to buy the kuih when going back hometown. It is very unfortunate that the kids nowadays including GiLoCatur's do not like the traditional food, dish or delicacy (kuih). GILOCATUR WOULD LIKE TO WISH ALL THE MUSLIMS AROUND THE WORLD, HAPPY EIDUL FITRI. HOPE THE MIGHTY ALLAH BLESS US ALL. For all the Malaysian chess players especially, have fun and enjoy the on going Malaysian chess festival. And for all the Malaysian juniors that will represent the country in the World Youth Chess Championship in Halkidiki, Greece in three weeks time, keep practising to make our country proud. Show the world that Malaysia can stand tall too in the world chess map. 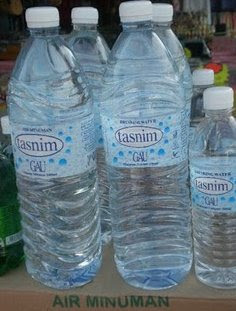 What Mineral Water Do You Drink During Chess Tournament? It is a very common view that a bottle of mineral water will be beside chess players during our local chess tournaments. It is either brought or bought by the players themselves or provided by the tournament organizer. 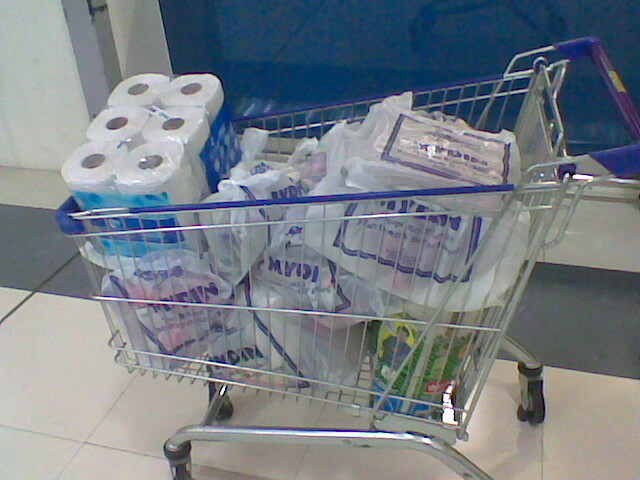 For GiLoCatur and family, we bring Elken RO water from home. 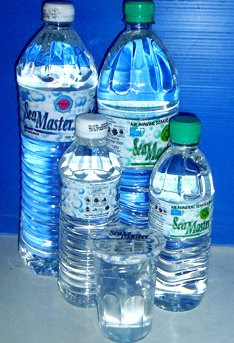 Actually, there are many kinds of mineral water in Malaysia. Below are some of them. Besides the above brands, GiLoCatur likes EVIAN mineral water. GiLoCatur first drank it while in Paris several years ago. GiLoCatur can't afford to drink EVIAN regularly since it is not that cheap. 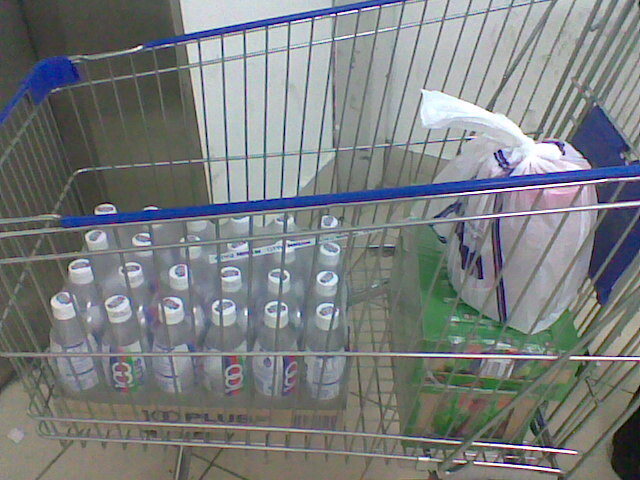 A bottle of 500 ml priced at about RM5 to RM6 (~ 2 US Dollars). 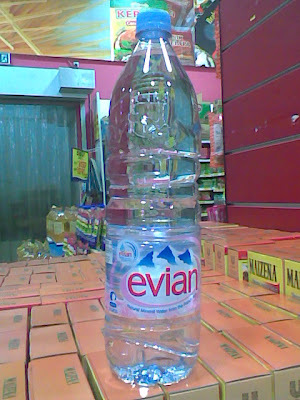 GiLoCatur thought EVIAN, from the French Alps, is the most expensive mineral water. It is not. 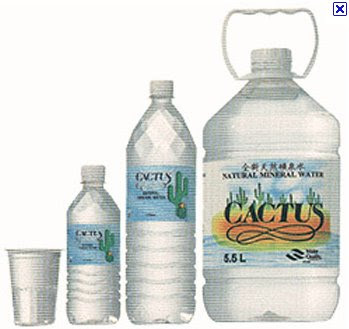 Do you know what is the most expensive mineral water in the world? The answer is KONA NIGARI which costs more than RM1,500 per liter. In fact, in one website, one gallon of KONA NIGARI is sold at USD 2,144. Why it is so special? 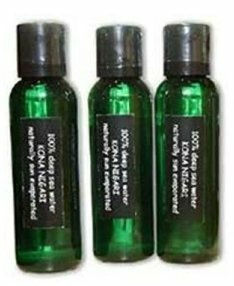 The Kona Nigari water is reported to be a desalinated water high in minerals found 2,000 feet down off the coast of Hawaii. 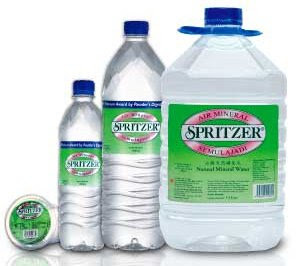 So, which mineral water brand is your favourite choice? Dare to try the most expensive mineral water in the world? How GiLoCatur found out about this water? From Mr LePAK's blog. 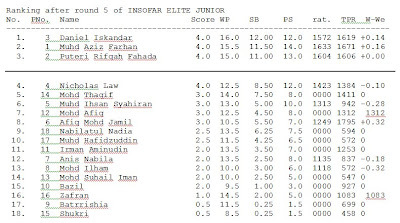 Insofar Elite Junior Chess Open held last Sunday had attracted 18 participants. Daniel Iskandar who was the third seed emerged the champion after beating the top seed in the final fifth round. No one scored the perfect 5/5 score since the top three seeds were beating each other. Kepada pemain-pemain catur yang masih baru belajar, sila ke http://mssm2010.blogspot.com/ untuk menimba sedikit pengetahuan dari anotasi beberapa permainan di Kejohanan Catur MSSM 2010 di Perlis Jun lalu oleh Ustaz Arman. Come next Saturday, the Malaysian Chess Festival will be kicking alive. Unfortunately, GiLoCatur won't be at the Midvalley Cititel Hotel to watch or be part of the event. GiLoCatur and family will be at kampung during the weekend. The first event that will take place is the Merdeka Individual Rapid. GiLoCatur will not write about it in details in this entry, maybe later. What GiLoCatur wants to write about is the second event that will be held from 29th to 31st August. It is the ASTRO Merdeka Team Rapid event. As of now (based on this link), 67 teams have registered for the event that will include eight foreign Grandmasters. The last team just registered is Crusher that is led by Indian GM, Laxman R R who has FIDE ratings of 2503. One of his team mates is also fellow countryman GM named Arun Prasad. Besides the Grandmasters, the event will be also participated by most of our elite and top players. In fact, leading the starting rank list is a Malaysian team, SMS Gold, comprises of IM Mok, FM Nicholas Chan, his brother Marcus, Khor Shi Hong and IM Yee Weng. It is good to note that many Malaysian juniors team up as a team to challenge all the titled players. Surely it will be difficult to beat their master opponents but they should cherish the moments of playing against them. They should have the courage to at least give good fight and strong will to play their best games. Do not give up before putting a fight. For our golden chess boy, Li Tian, GiLoCatur believes this is the stage where he should shine and show his prowess to the chess world. Which team is GiLoCatur's pick to win the event? The Uzbek Connection! Who are the top challengers in GiLoCatur's eyes? SMS Gold, Bengal Tigers and Chesskidz Team A. Which team won last year? Which team won in the year 2003? Do you know? In about two weeks, the World University Chess Championship will be held in Zurich, Switzerland. Checking the registered participants from its official website -http://www.wucc2010.ch, GiLoCatur found no Malaysian players will take part. Even for the Southern East Asia (SEA) region, only Indonesia has representatives. 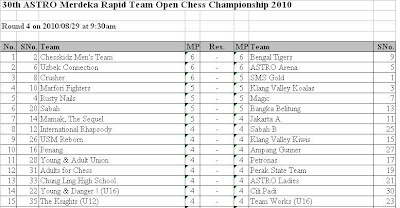 Seven Indonesian chess players will take part in the championship. 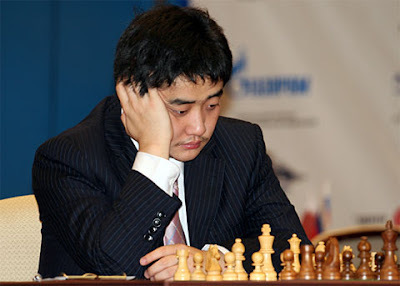 GiLoCatur wonders why no players from the region's top chess nations Vietnam and Philippines. For sure, GM Susanto Megaranto and WGM Irine Kharisma Iskandar will not take part in the coming DAT Malaysian Open like in the previous editions. The reason is that both of them will be leading their respective fellow countrymen and countrywomen in the World University Chess Championship held from 5th to 11th September. Besides GM Susanto who is seeded 10th from the total 58 participants in the Men's category, the other three Indonesian players are IM Tirta Chandra Purnama, Andika Pitra and Wahyudi Surya. The Chinese Super GM, Wang Yue (the above picture) is the top seed in this category. Meanwhile, in the Women category, WGM Irine will lead her two other countrywomen Baiq Vina Lestari and WCM Iin Dwijayanti Kadek to make their country proud in the championship. The three Indonesian women chess players are among the total of 37 participants who will challenge the top seed, Mongolian International Master, Batkhuyag Munguntuul. GiLoCatur hopes that Malaysia will have representatives in the next editions of the World University Chess Championship. It is very important for the development of Malaysian chess. It is the continuity that is badly needed by our promising and talented juniors. It will motivate them to propel further in their chess career and be able to represent the country. Not only the Malaysian chess team does not get the support in terms of fund from the government for the coming 2010 Chess Olympiad in Khanty-Mansiysk, Russia. Even a developed country of Australia which is also known as the Down Under also does not provide the fund for its chess team. So, what the Australian chess community especially its chess governing body, ACF, does to raise the fund? It makes appeal for donation. Check out its website here. 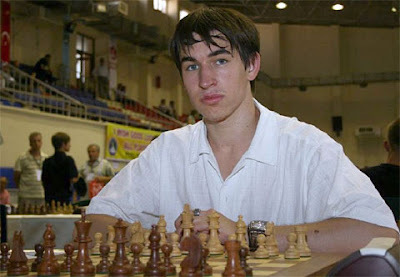 The important point here is a big effort needs to be taken in order to participate in a big and important chess event like chess olympiad, world junior or world youth chess championships. That's what many chess communities in other countries do for their chess. GiLoCatur also found a chess blog that is specifically dedicated for the young or children chess players. Check out the blog here. Shouldn't we, the Malaysian chess community, have one also? What are our efforts to develop, encourage and promote chess among our youths? Should we depend only on parents? 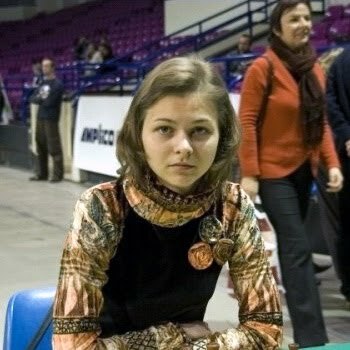 Besides the above Aussie chess blogs, our chess community should also browse the following chess website - http://www.chessintranslation.com/. Lots of chess-related ideas, info, news, and chess annotations from chess masters and experts that can be learnt and gained from the website. To be successful in chess, we need to put lots of efforts and make sacrifice especially in time. The important thing is - IT IS FREE! GiLoCatur is not sure whether most Malaysian chess juniors are following the recently concluded World Junior and Girls U-20 Chess Championship that was held in a village named Chotowa in Poland. The championship attracts GiLoCatur for several reasons where we the Malaysian chess community can learn from it. The pgn of all games in the championship are available to be viewed or downloaded. GiLoCatur wonders how they could key in all of them so quick and publish it fast. 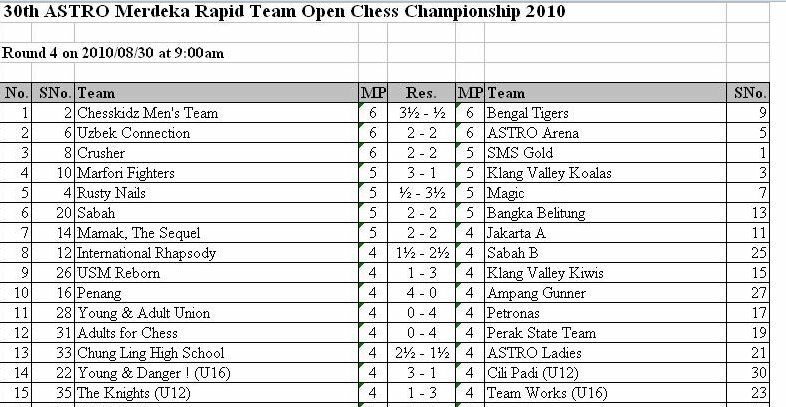 Our Malaysian chess juniors should take the advantage to study and learn the games. The past records and history are complete and published in the website, even can be downloaded. All the pairings and results are available immediately. Even the score card for each participant or player is available. In that way, each participant can access his or her record and save or print them. The bulletins are also available almost immediately and can be downloaded. Actually, these can be created quickly and easily once all the games are keyed in. CHECK OUT THE ABOVE WEBSITE! We, the Malaysian chess community, should have such website and learn how to have one like that. Malaysia should send our top juniors to participate in the championship. It is a world class chess tournament needed by our junior players for exposure and experience. It is part of chess development program. Our Malaysian chess juniors download the pgn of the championship and study them thoroughly especially as the preparation to participate in international and world-level chess championships. 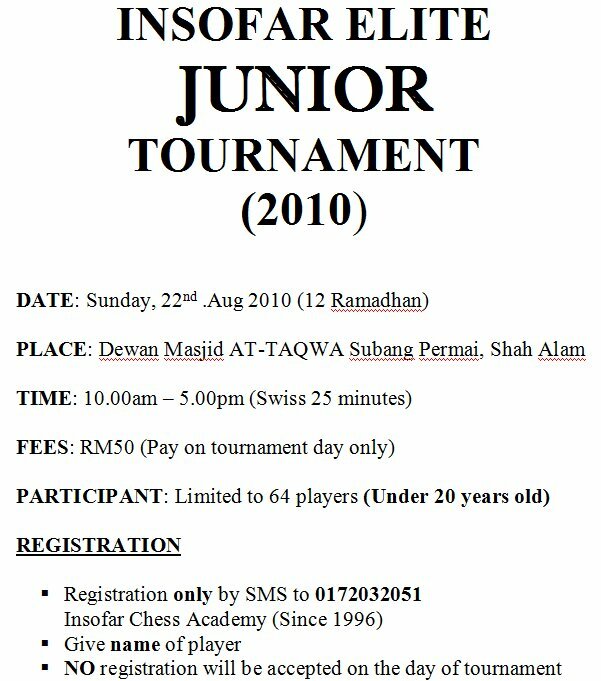 Satu lagi kejohanan anjuran Insofar kepada pemain-pemain catur junior (Bawah 20) yang berminat. 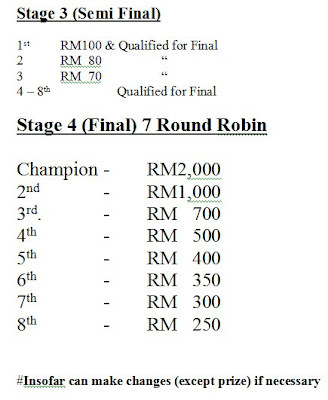 Konsep yang sama dengan Insofar Elite Open Tournament - format & hadiah kejohanan. Hadiah wang RM2,000 dan RM1,00o kepada juara dan naib juara di pusingan terakhir, pada pandangan GiLoCatur, adalah yang terbesar kepada pemain-pemian catur junior di negara ini. Jadi, kepada pemain2 catur junior di negara ini, ARE YOU READY TO TAKE THE CHALLENGE? 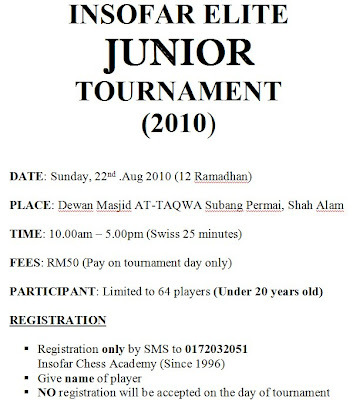 ARE YOU THE BEST MALAYSIAN JUNIOR CHESS PLAYER? Makan2 Di B'yyu Patisserie Kita? Malam semalam GiLoCatur pergi ke Plaza Shah Alam (Masalam) di Seksyen 9. Tujuan ke sana adalah untuk membeli buku-buku latihan UPSR Anis. 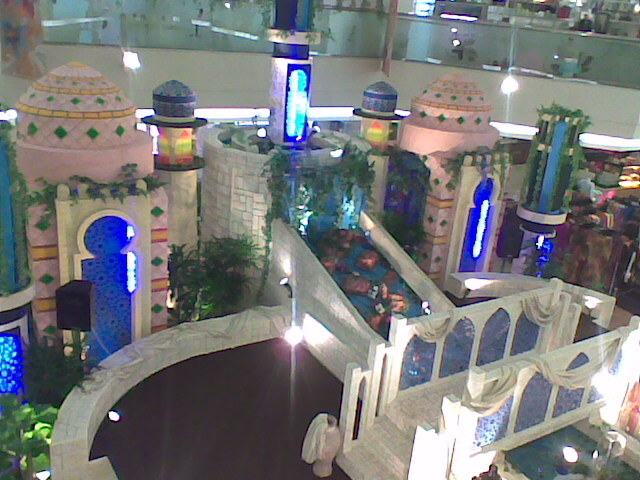 Dah lama juga GiLoCatur tidak ke shopping complex tersebut. Sewaktu meronda-ronda, GiLoCatur terperasan satu tempat yang mempunyai deko yang menarik. 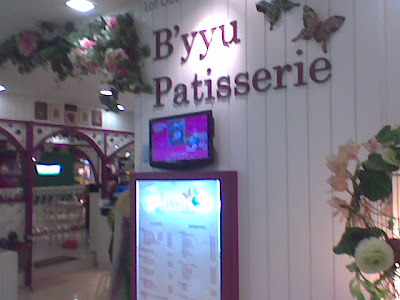 Rupa-rupanya ia adalah satu tempat makan dengan nama yang agak pelik. Terbelit lidah GiLoCatur nak menyebutnya. Anda tengok ajelah gambar di bawah. Dari beberapa keping gambar candid yang GiLoCatur snap menggunakan handset Nokia hanya gambar di bawah yang menjadi. Yang lain2 semuanya kabur dan tak jelas. Al-maklum snap curi-curi. Malu pula beria-ia nak ambik gambar. Memang GiLoCatur terpegun dan terpesona dengan decoration cafe tersebut. Nak sangat try makan-makan di situ. Sekali imbas, ada jual snacks, Malay savoury seperti gado-gado, soto dan laksam, Western savoury seperti croissant dan lasagna. Beberapa jenis kuih muih Melayu juga ada dijual. Memang bagus per"CATUR"an ownernya yang memilih tempat yang sangat strategik dan hiasan yang sangat menarik. GiLoCatur amat berharap strategi dan tarikan-tarikan seperti ini di"apply" dalam industri catur di negara ini untuk menarik minat masyarakat dan mempromosinya. Apa kata kalau buat chess sparring di situ? 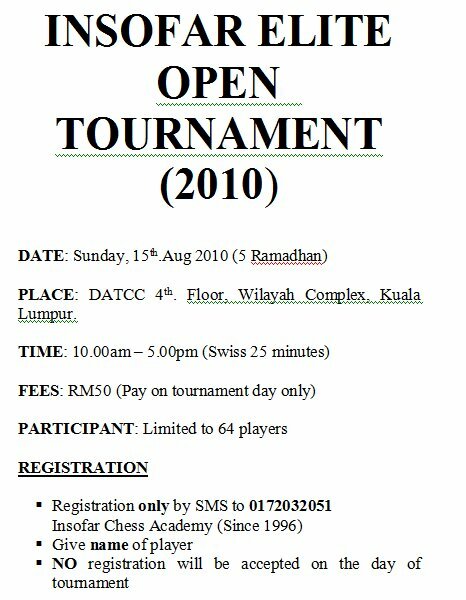 Don't think that there are no chess tournaments during the month of the fasting month RAMADHAN. In fact, this weekend on Sunday 15th August which is the fifth day of fasting to all the muslims, the first stage of the INSOFAR ELITE OPEN Tournament will be held at the DAT Chess Center. Check out below details! 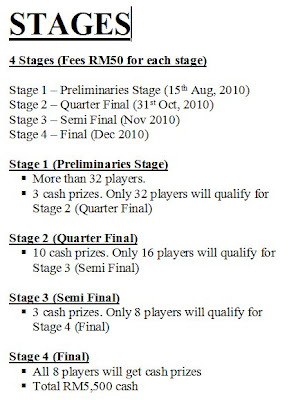 The tournament will be carried out in four stages like below details. The fee is only RM50 for each stage. 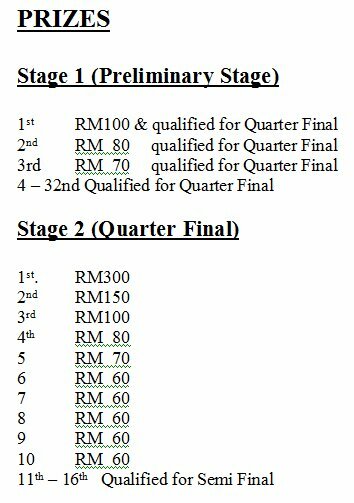 Meaning that you just need RM200 in total for all the four stages. It is just about 10% of the champion prize money or 20% of the first runner up prize money. A good ROI or Return of Investment, isn't it? 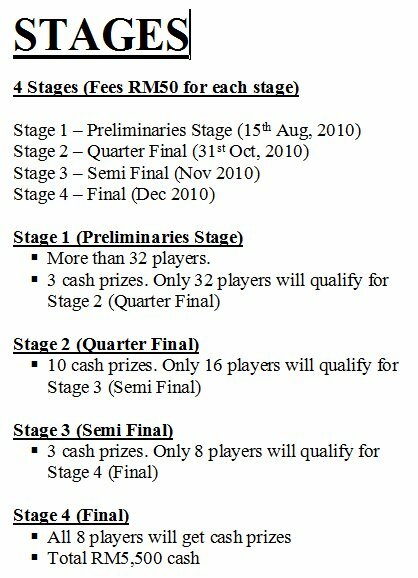 Even if you place last in the final fourth stage, you will still earn extra RM50 and surely four days of chess playing excitement and fun. 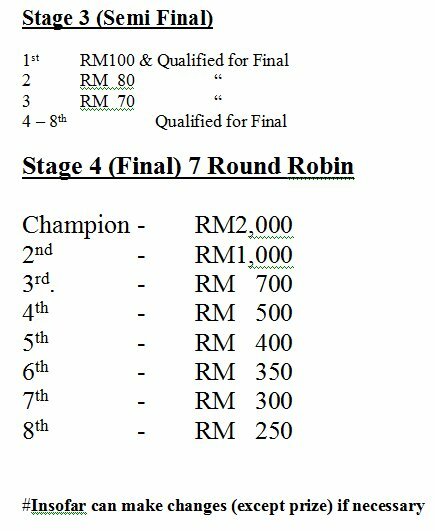 The prize money for both the champion, TWO THOUSAND RINGGITS, and the first runner up, ONE THOUSAND RINGGIT, after the end of the fourth (round robin) stage is quite impressive especially to GiLoCatur. GiLoCatur thinks that the champion can be crowned and awarded the Malaysian Rapid Chess King title that requires consistent and solid performance from the first stage until the last stage. So, book your place in the tournament and show how good you are in chess. DARE TO TAKE THE CHALLENGE TO BE THE MALAYSIAN RAPID CHESS KING? Today is the first day of RAMADHAN. All the muslims around the world start fasting. Below are several new faces (at least to GiLoCatur) of the Malaysian chess participants in the recent Cerdik Catur Chess Challenge. Fikri was happy during the tournament since three of his school seniors made their debut participation in a local chess tournament. They are Faiz Zairullail Mohd Yusof, Abdul Kahar Abdul Manaf and Wan Muhammad Shafiq Mohd Shukri. Abdul Kahar of SMK Seksyen 18 (left) versus a "Mat Salleh" player. 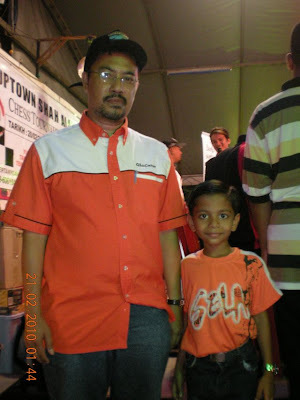 Faiz Zarullail, another SMK Seksyen 18 pupil, (left) played black against a 7-year-old Nik Nur Nadzirah, which came all the way from Kelantan with his father, Cikgu Nik Azrihan. A "lebai muda" can also play chess. The opportunity to participate in chess tournaments shall be given to new players like him. How did he know about the tournament? Via newspaper. So, efforts to advertise local chess tournaments in the newspaper shall be done by the organizer. Do you know what a paparazzi is? I think many of you know what it is. But by the way let's GiLoCatur explains what the word means. Taken from Wikipedia, a paparazzi is an Italian term used to refer to photojournalists who specialize in candid photography of celebrities, politicians, and other prominent people. Paparazzi tend to be independent contractors, unaffiliated with a mainstream media organization. Do you notice the ICT tools or gadgets used by fireyrook for him to carry out his mobile blogging? What really caught GiLoCatur's attention and eyes is the P1 wireless modem. It looks sophisticated eh, compared to GiLoCatur's celcom broadband modem. 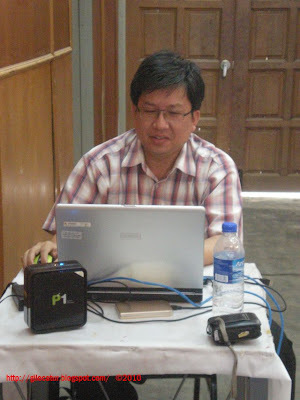 But anyway, GiLoCatur hopes Mr fireyrook keeps on blogging and updating his chess blogs to provide latest news, info and updates particularly to the Malaysian chess community. WELL DONE and KUDOS to fireyrook. 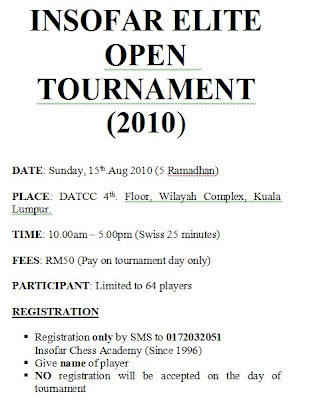 On last Sunday dated 8th August 2010, a chess tournament named the Cerdik Catur Chess Challenge was held in Section 7, Shah Alam the capital state of Selangor. It was held at Raja Muda Musa hall (below picture) of the Selangor Youth & Sports Complex. About 100 participants both Shah Alam and non-Shah Alam residents were participating in the event. The chess tournament used G/25 seven SWISS rounds format. The first round kicked off at around 10.00am and ended at around 6.00pm. GiLoCatur did not participate but both sons did. Syakir Shazmeer, the Form 4 student of Sekolah Menengah Sains Kuala Selangor, emerged as the champion after scoring 6.5/7 points. He led by halfpoint. He drew with Ahmad Fadzil Nayan in the sixth round and won all the other rounds. Ahmad Fadzil Nayan, the top seed, whose home state is Perak won the first runner up. Beside drew with the champion, he also drew with Syazwan Zulkifli, a UM student, in the fifth round. He scored 6/7 rounds after 5 wins and 2 draws. The 14-year-old Fikri Saleh of Shah Alam was the 2nd runner up. He accumulated 6/7 points after 6 wins and 1 loss. But he had lower tie break than Fadzil Nayan. Ranked 9th, he defeated Mohd Firdaus in the final round. He was beaten by his MSS Selangor U15 team mate, Irfan Haqqim, in the fifth round playing black. The fourth place went to a teenager named Mohamad Raimi Rahim. He defeated two veteran players - Shamsuddin Sabri aka fireyrook and Ibrahim Nash in the fourth and fifth round respectively. In the sixth round, he defeated Iskandar Rashid. Muhd Syazwan Zulkifli, the third seed, was placed fifth in the tournament. He scored 5.5/7 points. He drew once against his buddy, Fadzil, and was defeated by the champion in the final round. Go to http://malaysianchesspairings.blogspot.com/ to see the pairings of the tournament. GiLoCatur missed to snap the first round pairings. Actually, some of the participants are debutants or rookies in chess tournaments. GiLoCatur will show some of their pictures in later entry. Fireyrook, who also participated in the tournament, also had a report on his chess blog as per here. MAKSAK Chess Tournament just ended yesterday, Sunday 8th August. MAKSAK is the acronym for Majlis Kebajikan & Sukan Anggota-anggota Kerajaan or the council of government servants' welfare and sports. The tournament was held from Thursday, 6th August, until Sunday, 8th August. Fifteen teams were participating in this year edition that was divided into three groups - Group A, Group B and Group C.
In the group stage, each team plays all the other four teams in respective group. The best eight teams from the top two/three of each group would then play in the winners pool to decide the champion while the others would play in the losers pool. Roslan Sulaiman, a fellow chess friend of GiLoCatur, played for the Selangor team. He told GiLoCatur that his team managed to be among the eight teams in the winners pool but placed last or eighth place. 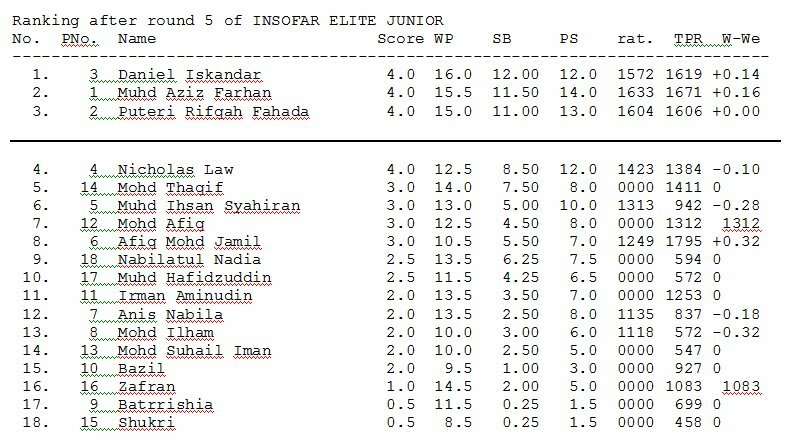 As a consolation with 5 wins, 3 draws and 1 defeat (if not mistaken), Roslan was awarded the Best Board for the fifth board. Kuala Lumpur team emerged as the champion for this year edition in front of Terengganu (2nd place) and Sarawak (3rd place), the defending champion. The fourth place was won by Pahang. Check out Muhammad Arshad's chess blog for further results. 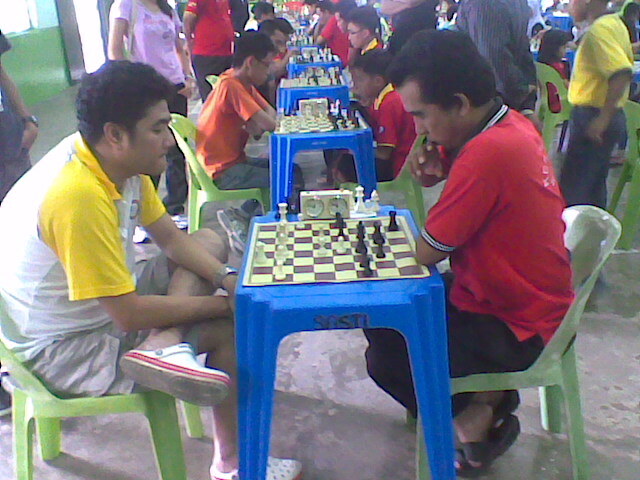 Roslan Sulaiman (right) while playing against Anthony Liong during the recent Perak Chess GP - Teluk Intan leg. Hari ini merupakan satu hari yang bersejarah bagi catur di negara ini. Ia telah mendapat liputan dalam program TV3 - bukannya setakat satu program, tetapi dua. Pagi tadi, Fadli stonemaster telah muncul dalam program MHI di waktu pagi. Tetapi sayangnya GiLoCatur telah "miss" untuk menonton rancangan tersebut. Kemudian dalam segmen sukan Buletin Utama baru sebentar tadi, peminat cilik GiLoCatur, adik Jagathees a/l Guna Balan, pula muncul. GiLoCatur salute dan tabik kepada Guna Balan, ayah Jagathees, yang sangat berdedikasi dan berusaha bersungguh-sungguh mencari penaja agar anaknya dapat bertanding di kejohanan catur peringkat dunia. Semoga Jagathees dan Guna Balan akan tabah dan cekal menempuh pelbagai cabaran dan dugaan untuk berjaya di peringkat paling tertinggi dalam sukan catur dan mengharumkan nama negara. Sorry to non-Malay readers, this entry will be in Malay. Semalam, GiLoCatur dan isteri pergi ke Mydin USJ untuk shopping barangan dapur atau grocery. Mydin USJ memang merupakan tempat shopping utama atau pilihan GiLoCatur untuk barangan dapur. Sebelum ini, GiLoCatur suka berbelanja di Carrefour Subang. 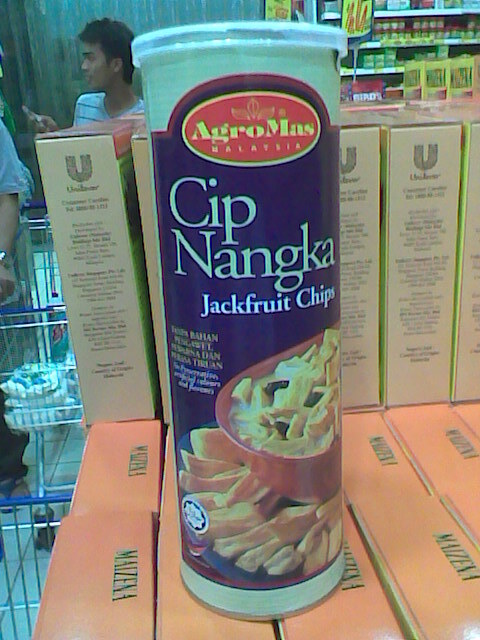 Dan pernah juga di Giant Seksyen 13 Shah Alam. GiLoCatur bershopping sakan di K-Mart beberapa hari sebelum pulang ke Malaysia. GiLoCatur beli dua set dinnerware Corelle, satu untuk emak dan satu untuk diri sendiri. GiLoCatur beli tiga barangan Pyrex buatan Corning sebagai cenderahati untuk tiga orang kakak ipar. Kalau di Malaysia pada ketika itu, harga 1 set Corelle beratus-ratus ringgit, tetapi hanya berpuluh-puluh US Dollar di K-Mart. Jika convert (exchange rate pada ketika itu ialah 1 USD = RM 2.60) sekali pun masih jauh lebih murah. Barangan pyrex pula hanya berharga berbelas-belas ringgit sahaja, sedangkan di Malaysia berpuluh-puluh malah ada yang beratus-ratus ringgit harganya. "Terkezut" juga GiLoCatur apabila hendak memasuki pintu masuk Mydin kerana seekor unta (gambar di atas) sedang menunggu. Sungguh kreatif Mydin dengan gimmick unta tersebut. Al maklum, bulan Ramadhan hampir tiba. GiLoCatur amat berharap gimmick sebegini akan diguna pakai oleh para penganjur kejohanan catur untuk menarik minat orang ramai. Insya Allah, para bloggers akan bantu promosi dalam laman blog catur mereka. GiLoCatur dan isteri kemudian pergi ke tingkat dua (bahagian wholesale) untuk membeli minuman Milo kotak dan 100 plus seperti gambar di atas. Tidak ketinggalan, GiLoCatur beli sebalang biskut kelapa. Memang ia merupakan di antara makanan favourite GiLoCatur. GiLoCatur ingin berkongsi dua produk menarik berikut. 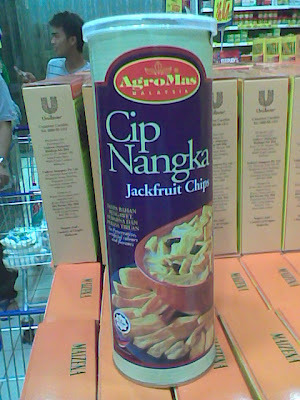 First time rasanya GiLoCatur jumpa Cip Nangka atau Jackfruit chips (gambar di atas). GiLoCatur memang suka buah nangka, tetapi kena berpantang makan. GiLoCatur mula mengenali air mineral evian ini sewaktu berada di Paris beberapa tahun yang lalu. Air mineral tersebut memang amat popular dan berkualiti tinggi. Ia dijual dengan harga yang agak mahal di Malaysia. Kalau tak silap GiLoCatur, dahulu air mineral evian sebotol (500 mililiter) berharga RM6. 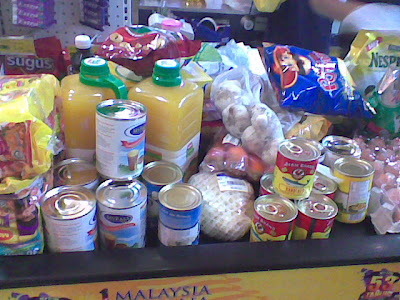 Semalam di Mydin, ia berharga lebih kurang RM4. 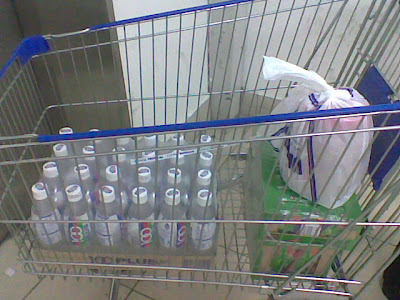 GiLoCatur beli sebotol 1.5 Liter yang harganya kurang RM8.